High quality blank t-shirts are constantly in demand. 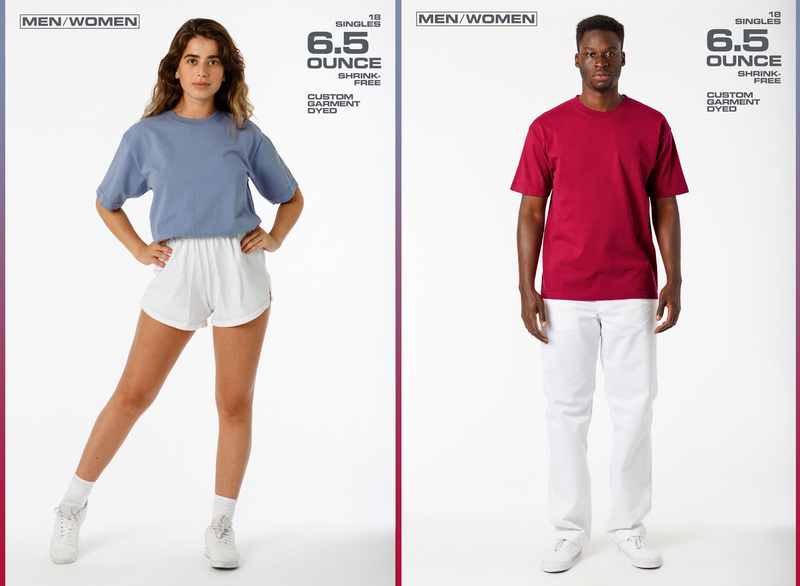 There is an abundance of styles and brands of t-shirts out on the market today, it’s hard to know where to begin when selecting the right “fit”. So how do you choose the perfect tee for your business in 2018? Look no further! We’ve narrowed down the search with this year’s most popular selection of high quality blank t-shirts for printing while honoring the varied styles and demands of our customers. Here is your High Quality Blank T-Shirts Style Guide for 2018! This is the year for Stilo MC134, “The softest t-shirt ever made”. This new line features the softest t-shirt our customers have ever laid hands on. The tagless neckline and side seam tear away tag makes the MC134 a high quality blank t-shirt optimal for printing. If you’re trying to achieve a designer tailored retail fit while still searching for cheap blank high quality t-shirts, this tee is a worthy contender. Made from 52% Modal and 48% Cotton with a feel akin to cashmere, the Stilo MC134 Crew Neck is up to three times softer than a tri-blend. Bella + Canvas never ceases to amaze with their fashionable high quality blank t-shirts, its no wonder leading companies in the industry love this tee! The tear away label makes it a cinch to customize and is ideal for printing. The elevated raw neck adds flair to this 100% Airlume combed and ring-spun cotton blank. Available in white, black, military green, heather navy and dark heather grey, this retail fit jersey tee is high on our list! The 3014 is the essential “grab-and-go” cheap blank t-shirt. Next Level Apparel 6410 Men’s Premium Fitted Sueded Crewneck T-Shirt has a unique velvet feel with a buffed, extra-rubbed nap finish. The 32 singles thread width is dense, making this ultra soft high quality blank t-shirt ideal for printing! Fabric laundered for reduced shrinkage, the 6410 seams and sizing remains unscathed. The Next Level Premium Sueded Crew is 60% combed ringspun cotton and 40% polyester sueded jersey with a 1×1 sueded baby rib-knit set-in collar. The Satin Lable is the finishing touch to this cheap blank high quality t-shirt for printing! The 1801 Los Angeles Apparel Unisex Garment Dyed T-Shirt is a fashion forward option while reminiscent of the early nineties. The 1801 is the perfect relaxed fit tee with dropped shoulders and a ribbed crew neck. This garment dyed t-shirt is also a great high quality blank t-shirt for printing. Made in South Central Los Angeles, this tee is made from 100% cotton. This cheap blank t-shirt is durable and shrink free as a product of garment dying, with a broken-in feel. Comfort Colors Apparel ahead of the times in this flashback ad. 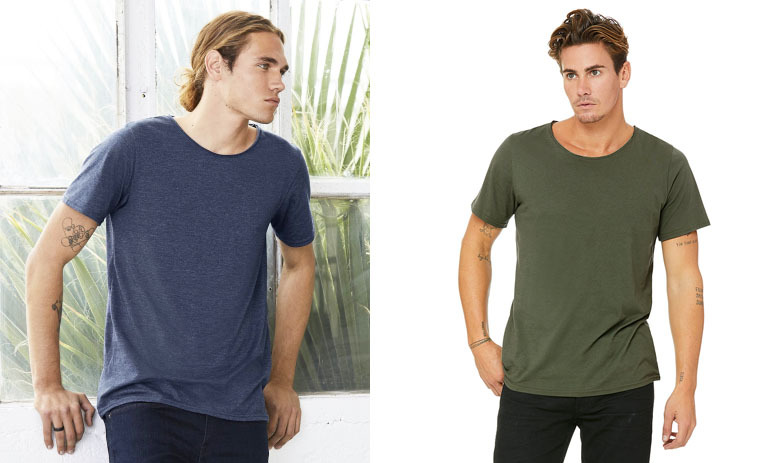 Their garment dyed t-shirt is now more prevalent than ever! Comfort Colors rivals The 1801 with another cheap blank garment dyed t-shirt option. The 1717 Comfort Color Heavyweight Garment Dyed T-Shirt has a softer feel than its previously mentioned competitor, made from 100% ringspun cotton. This shirt embodies comfort! 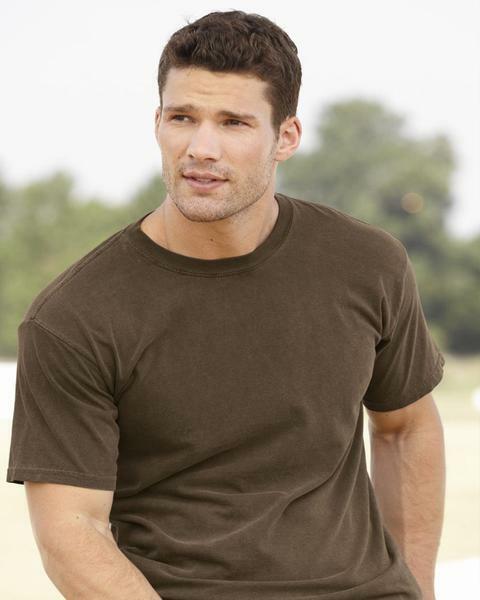 The color palette of these high quality blank t-shirts consist of pastels and earth tones, which gives it an edge in today’s market. The 1717 has a relaxed feel with shoulder-to-shoulder taping and set in sleeve and with its reasonable wholesale price it is an excellent choice when selecting a blank t-shirt for printing. If you are a business owner starting a new t-shirt line or just looking for cheap blank high quality tees for printing, let High Quality Blank T-Shirts – 2018 Style Guide be your ultimate reference when coming to your decision. At BlankStyle.com creating an account is not required for purchase. In addition, there is no minimum on orders for shipping on our wholesale cheap blank t-shirt. Also consider our Blank Sample Pricing to solidify your decision based on your particular needs! We will provide you with blank samples based on our sixty plus pricing tier. Just specify at checkout in the comment section “sample order please price accordingly” and we will charge you the full amount and then issue store credit for the difference toward your larger purchase. Purchasing high quality blank t-shirts for printing has never been so easy! This entry was posted in Business, Printing, Products and tagged 1801 Los Angeles Apparel, Bella+CANVAS 3014, Blank t-shirt for printing, Cheap blank t-shirts, Comfort Colors 1717, Garment dyed t-shirt, High Quality Blank T -Shirts, High quality blank t-shirts for printing, Next Level 6410, Stilo MC134 by Hilary Slaughter. Bookmark the permalink.